Make sure you’re complying with bylaws, providing easy access and ensuring a safe environment with a monthly snow clearing contract for commercial parking lots and sidewalks. Your staff and customers appreciate a parking lot that’s easy to get in and out of quickly and safely. 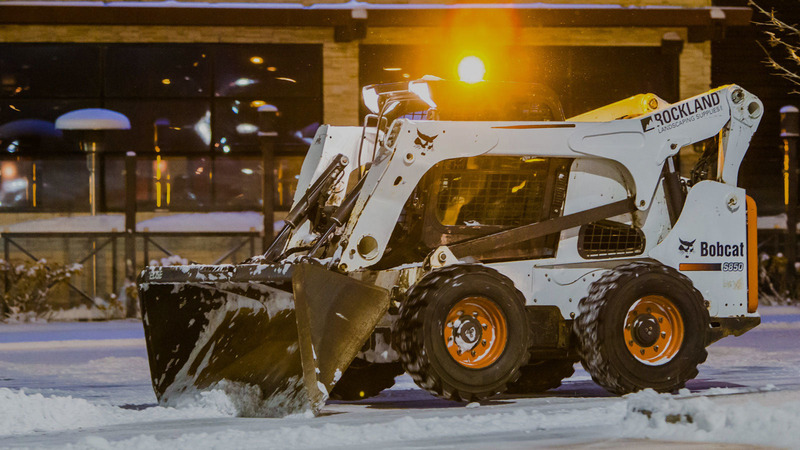 Rockland Landscaping Suplies' parking lot snow clearing service provides 24-hour site management with service after five centimetres of snow accumulation and also includes ice control. Rockland’s sidewalk snow clearing service provides 24-hour monitoring and management, ice control, salting and sanding to ensure public safety. Sidewalks are cleared after any amount of snow fall to maintain accessibility and bylaw observance. 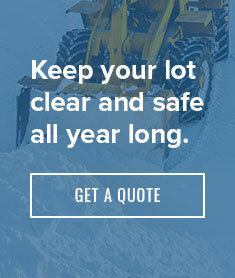 Whether Rockland is shovelling the snow or you are, we provide snow loading and hauling services on a per time basis. Our well-maintained fleet of loaders, skid steers, tri-axle and tandem trucks will load and haul any amount of snow away from your site.